I ordered this print and asked the shop owner if it could be customized to be a deer instead of a lion. With no hesitation, she sent me a proof. I received the finished product within 3 days and it is just perfect. Great gift idea! Highly recommend this shop for all your custom nursery art and baby gifts. 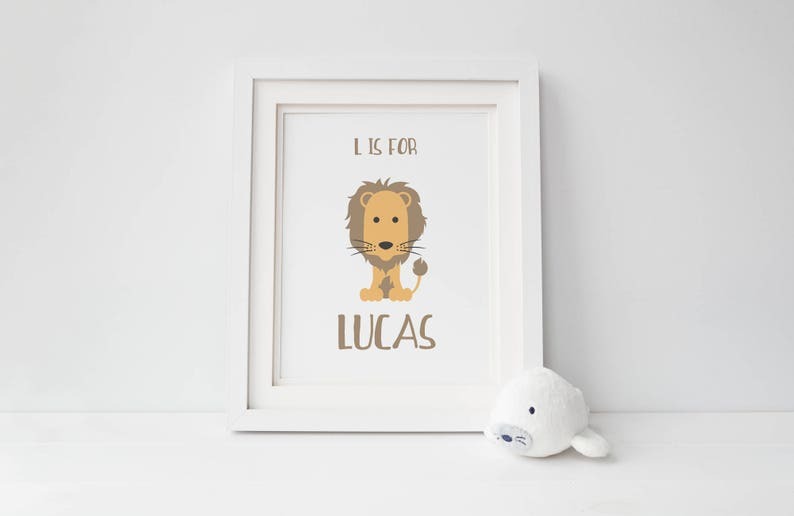 Lion Animal Print w/ Custom Baby Name 8.5"x11"